All of our espresso beverages are prepared with only the highest-quality products. 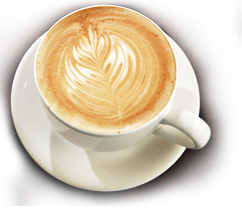 From our specialty coffees to our fresh fruit smoothies, blended frappes, Italian sodas, etc. - we provide a beverage experience. We will work with you to customize a menu that showcases your particular event and/or fulfills your particular requests. * Seasonal Options Always Available.